“NEW ENERGY PARENTING” is one of a series of books I intend to write based on these unorthodox methods of healing and knowledge. The information I share will enhance your energy in a positive way and propel you in numerous other areas of your life too. There are no degrees or PHDs to back up this material, nor do I need one to share the knowledge I have accumulate over the years. This information is beyond the BOX, this is how changes are made; by people like me who push the system into changing the way we teach our children so the next generation will be for the betterment of all humanity. 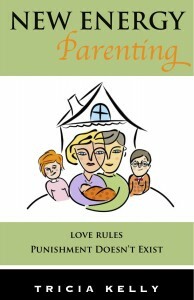 I have raised my child with these Spiritual principles since birth as a single parent. She has never had a ‘time-out’ or been punished for her downfalls ever. I have never lowered my personal standards and threaten her with any form of punishment and manipulation. Numerous parents, even dads, have commented about her kindness, her thoughtful behavior, her decision-making, and her understanding of logic. It’s only because she has been brought up with these same Spiritual principles, the ones mention with in this book. You will find that in most cases it’s the complete opposite of what most parenting manuals have been telling you to do — which is about punishment, control and ownership. Once you let go of parental ownership and the need to control your child’s every move, it allows your child to be aware that they are responsible for their own consequences in life, good or bad, they are the driver of their own desires and downfalls. My daughter has been through her ups and downs and learned her lessons too. I can comfort her, guide her with my views, my wisdom, but in the end she is the one who has to make her own decisions. People are either going to want to be her friend or not. More people enjoy her than not. People naturally want to be around an uplifted Spiritual Being. The principles I explain in this book go far beyond the ‘Law of Attraction.’ I explain why people have trouble manifesting money and their dreams in life. It is often because family members are out of alignment with each other. Your children, especially your teens, affect your energy. They often contribute to you putting up your numerous ‘stop signs’ especially when their emotions are vibrating on a very negative frequency. When you resort to punishment you too are now vibrating on the same low dense negative frequency. Young children’s emotional energy is huge, and parents often get entwined very quickly in every aspect of their negative emotional and mirror it right back at them. Kids at this age feel safe dumping their energy on their parents. The older they get the more they bottle their energy up, some times for weeks before they are able to release it. These emotions could be based on their fears or their anger. Parents are always going to be in the line of fire. You don’t have to automatically respond with the same negative energy. If you do, you are immediately putting up another ‘stop sign.’ Your dreams are now on hold too, not just your kids. This book explains the reasons why some kids act out. On a soul level they are seeking the respect they deserve as a soul on a soul’s journey. 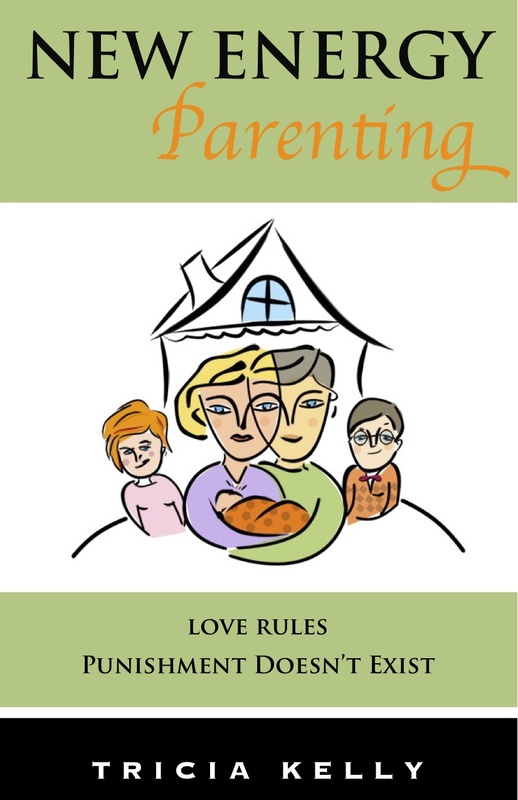 The sooner a parent learns their controlling personality does more damage than good with their unnecessarily strict discipline and orders, the quicker their family will come back into balance and manifest their dreams together.